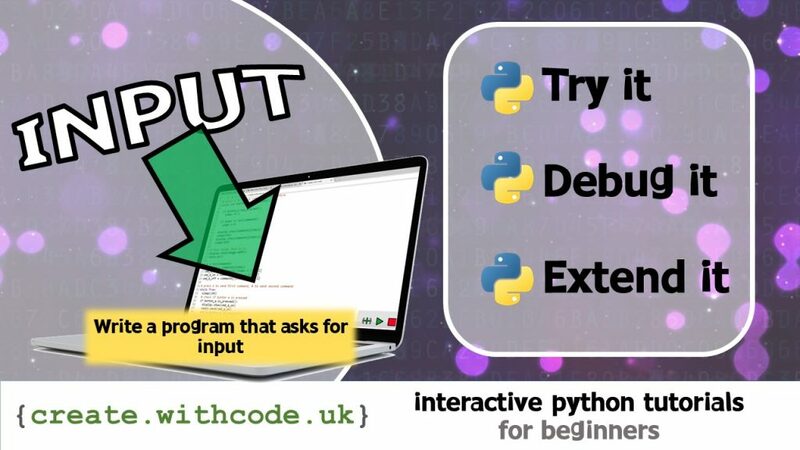 This activity is designed to help you learn how to use python to write a program that asks the user for input. Page 2: The theory: learn what you need to know as fast as possible. Page 3: Try it: try out and adapt some working python code snippets. Page 4: Debug it: Learn how to find and fix common mistakes. Page 5: Extend it: Choose a project idea to use your newfound python skills.